TheAnalyst® PRO is global! 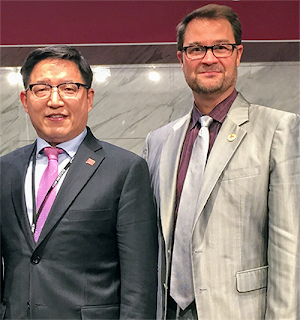 We had the honor of traveling to South Korea to partner with the South Korea CCIM Chapter. With over 1,200 commercial specialists, they are the single largest chapter in the world. Yong-Nam, Kim, President of the Korean CCIM Chapter, is responsible for spearheading the partnership with TheAnalyst PRO and bringing our software platform to the Korean market. "I am thrilled with the introduction of TheAnalyst PRO to our members in Korea. I strongly believe that the platform will help them deliver a higher level of service to their clients." We are delighted to partner with them and look forward to providing our powerful analysis platform to this new global market. TheAnalyst PRO, is a robust application, providing financial calculators, investment analysis, reports, mapping tools, location and environmental risk analysis, training videos, and more, easily accessible via mobile devices and desktops. Yong-Nam, Kim PhD, CCIM, CPM, MRICS- President & CEO GLOBAL PMC Inc.
President of the Korean CCIM Chapter. CEO and Founder of Global PMC, Inc., a CORFAC International firm. Global PMC, Inc. is the leading property management company in Korea. Specializing in acquisition, management, leasing and disposition of small & medium sized commercial buildings and residential rental properties since 2004. 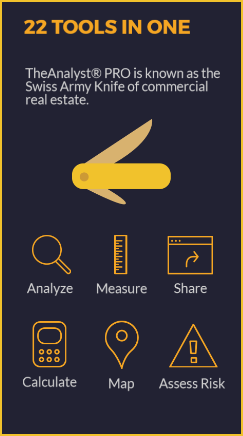 TheAnalyst PRO is known as the Swiss Army Knife of commercial real estate. It contains 23 tools accessible on mobile devices and office desktops. Learn more about TheAnalyst PRO's full suite of features. The fastest and simplest commercial real estate analysis ever created.